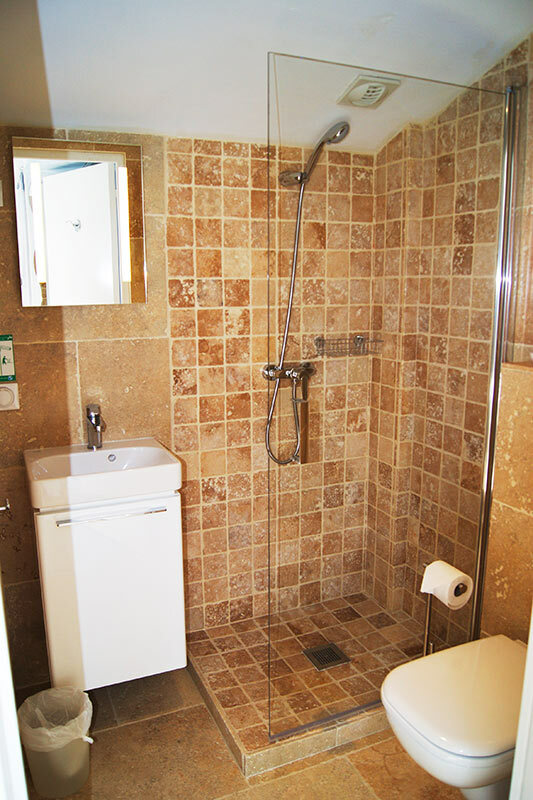 With LCD satellite TV and free Wi-Fi. 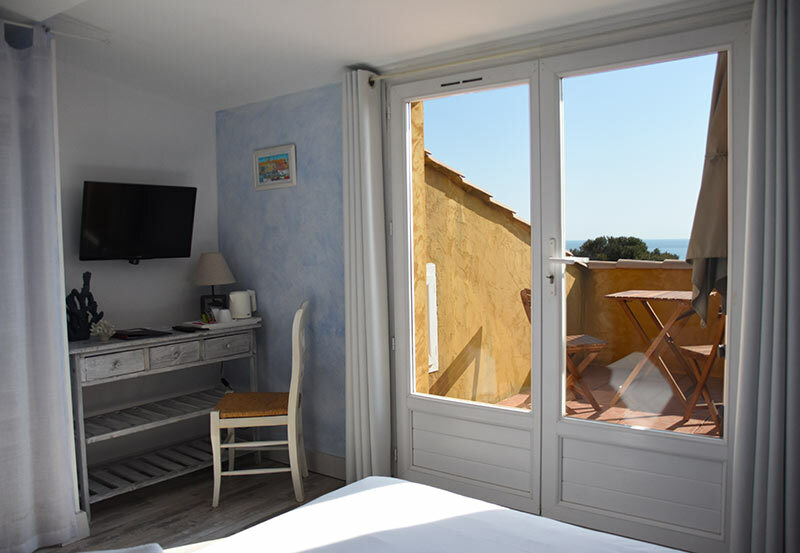 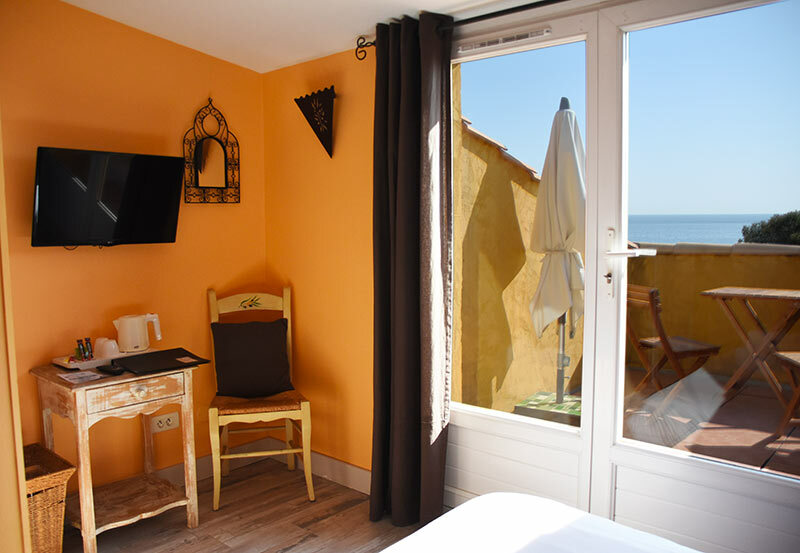 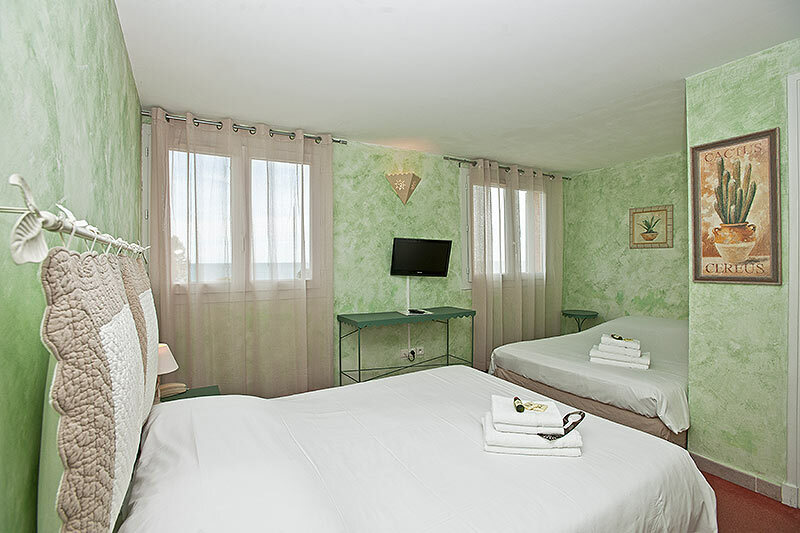 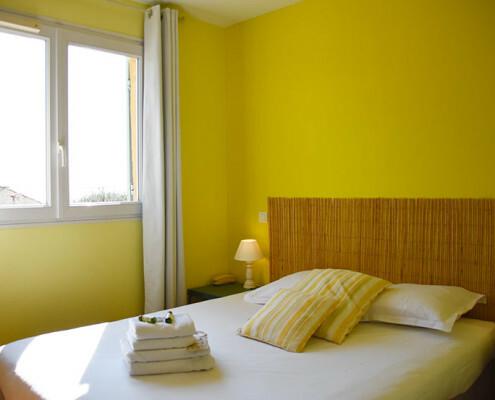 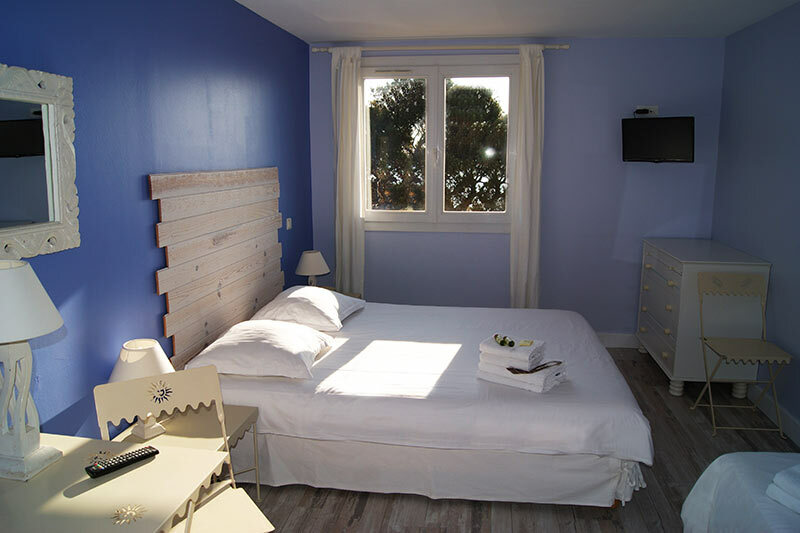 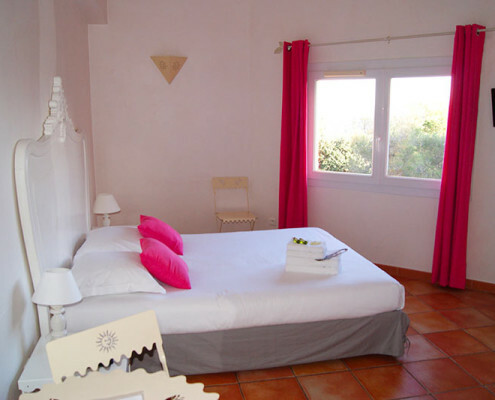 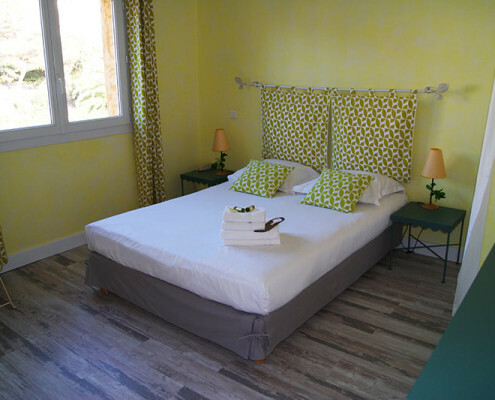 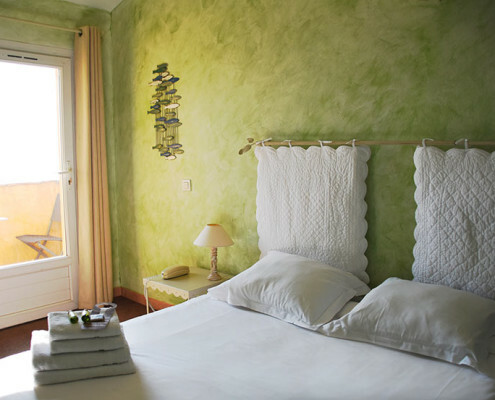 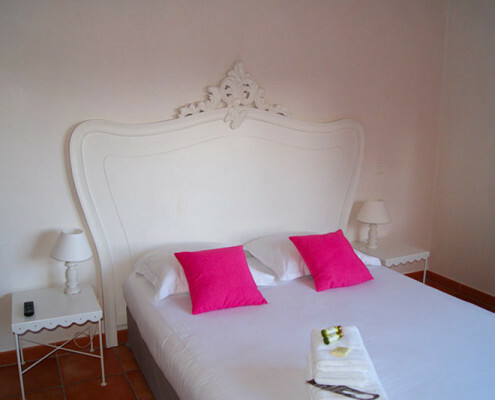 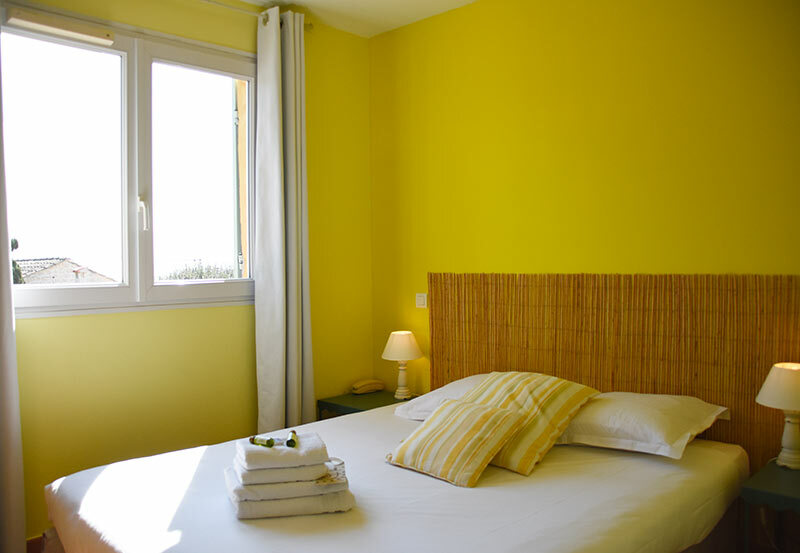 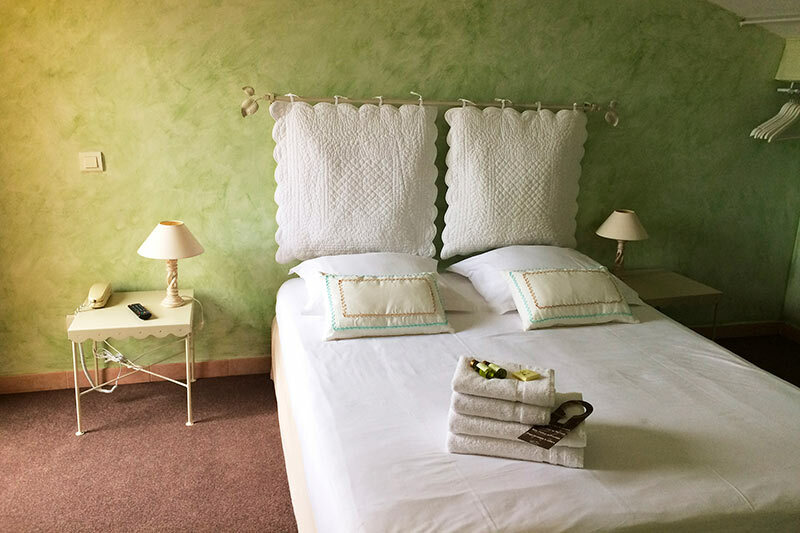 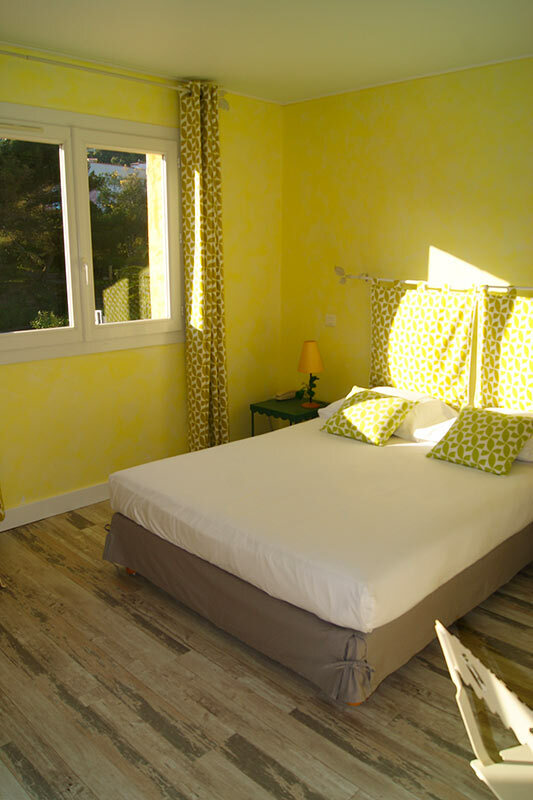 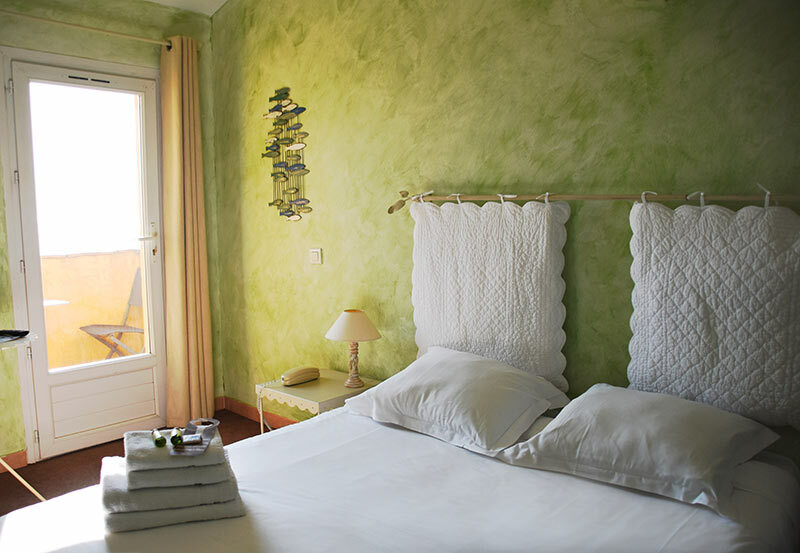 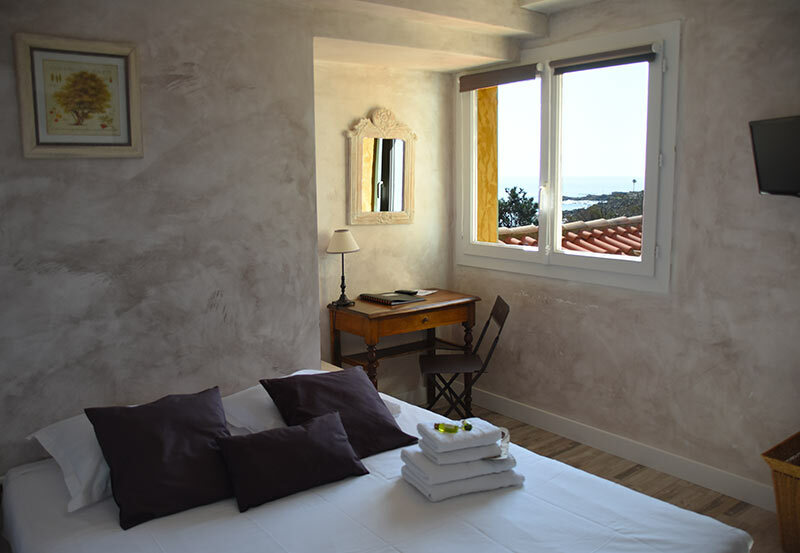 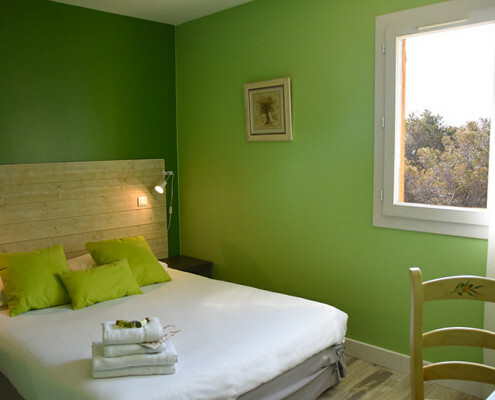 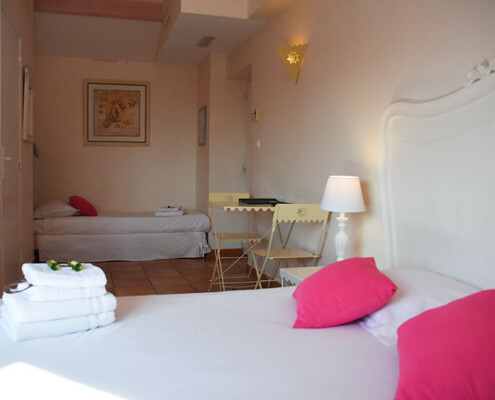 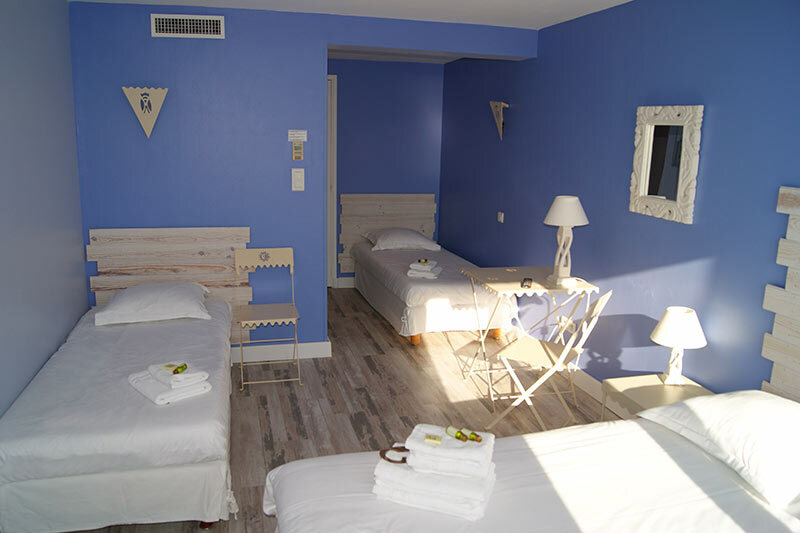 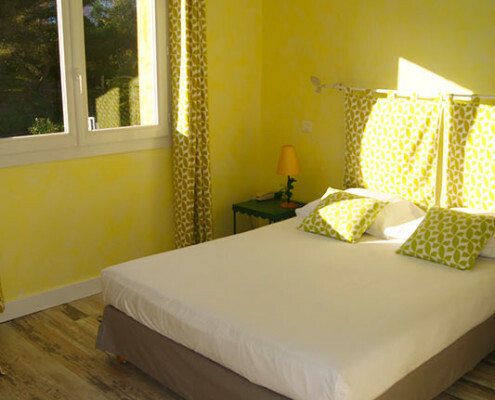 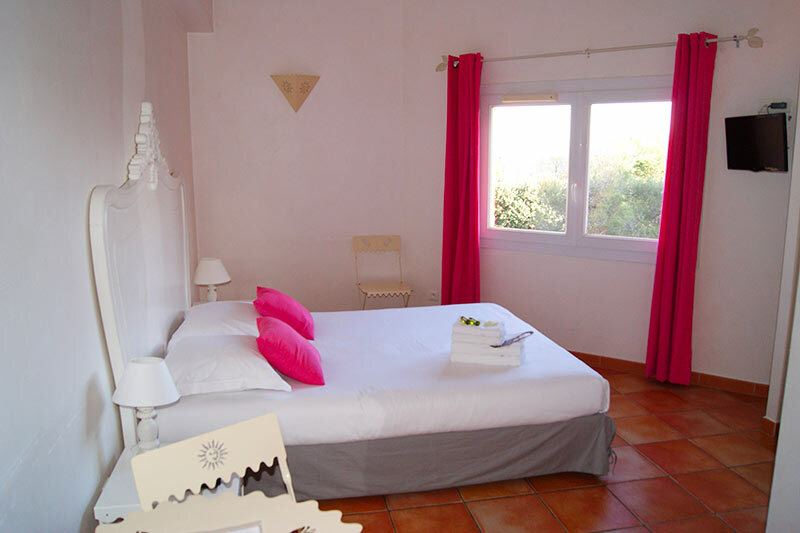 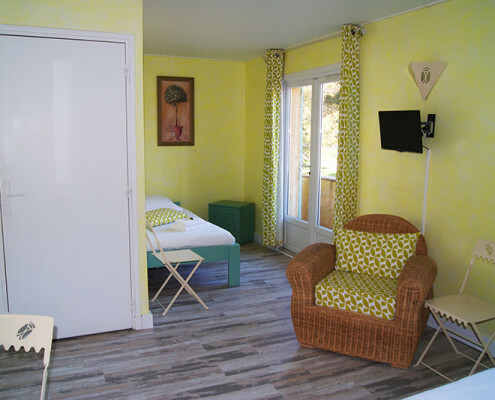 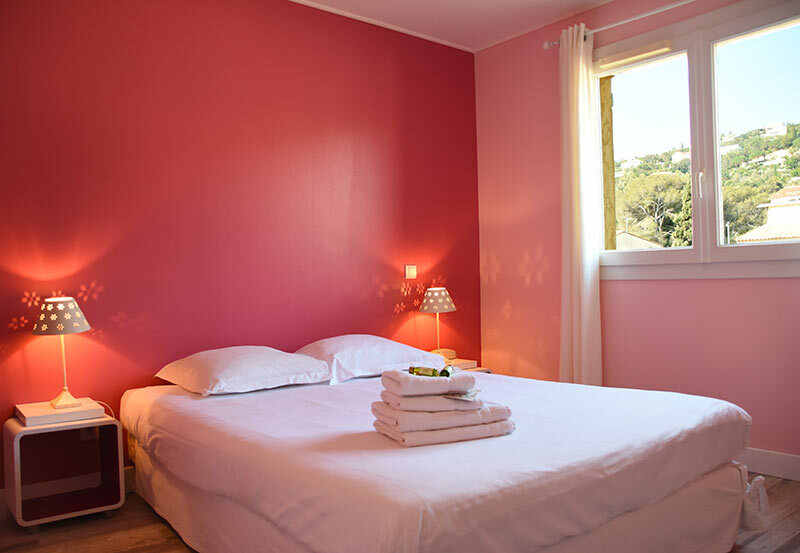 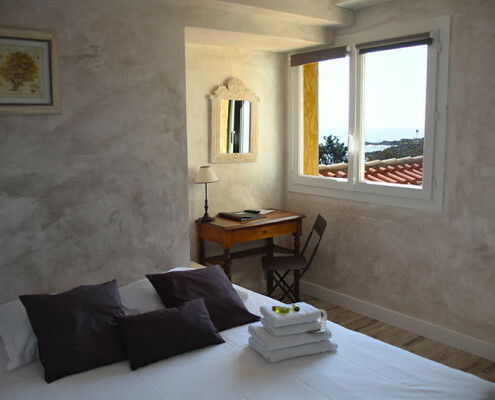 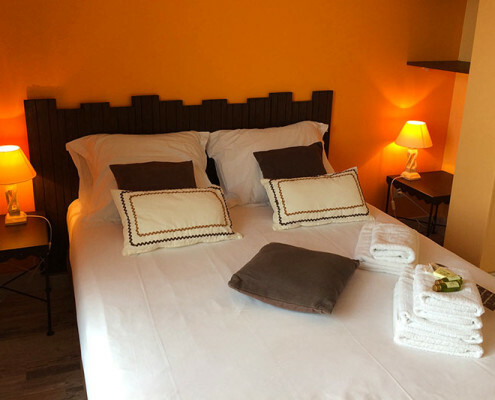 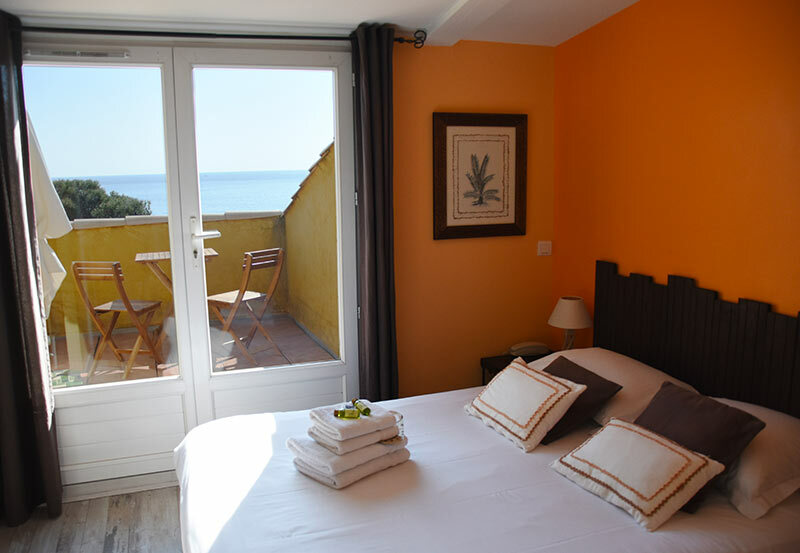 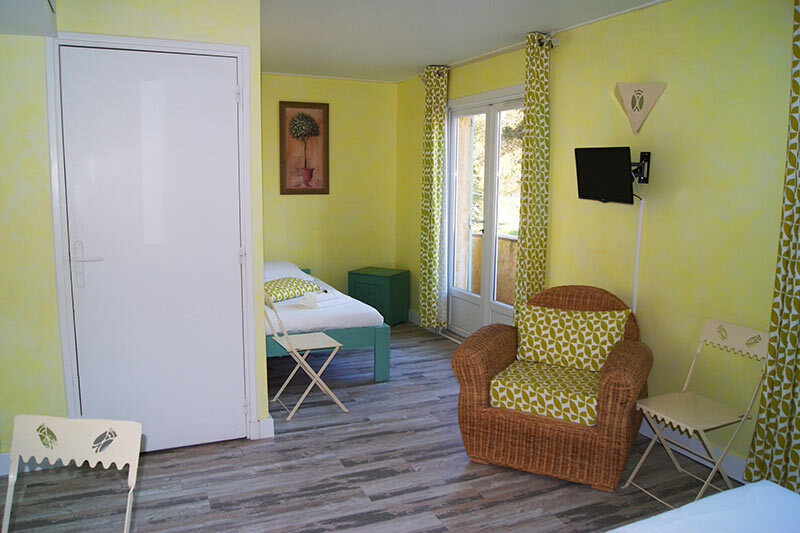 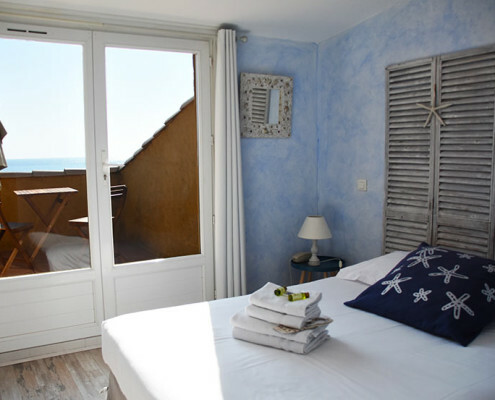 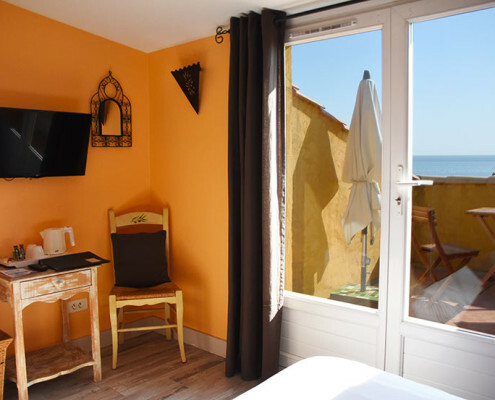 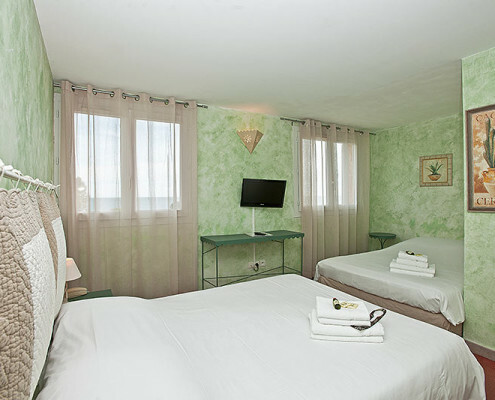 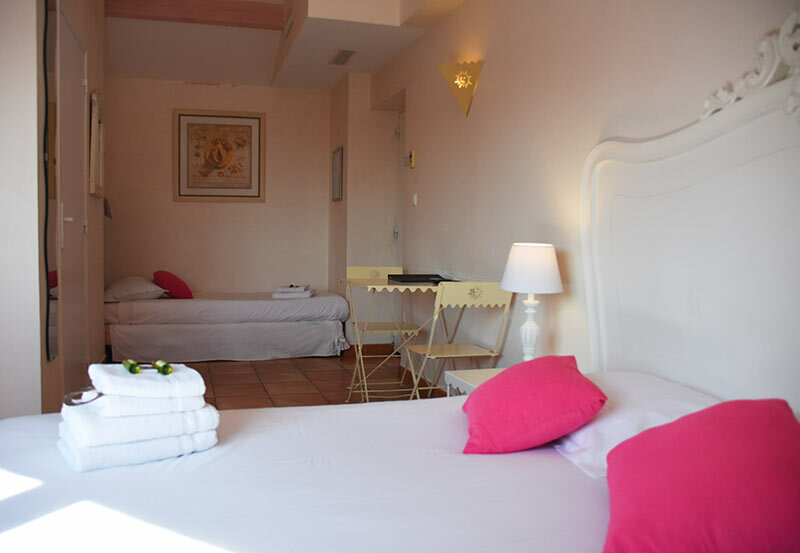 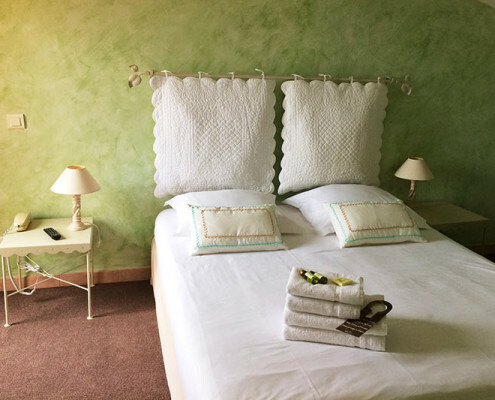 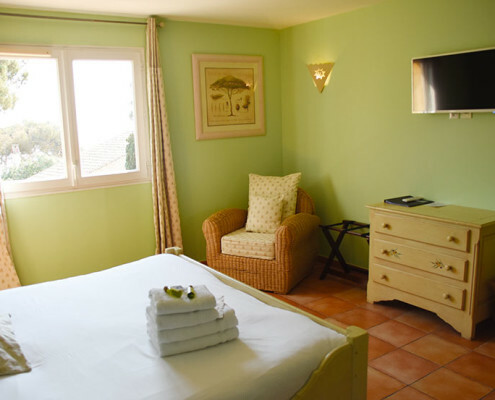 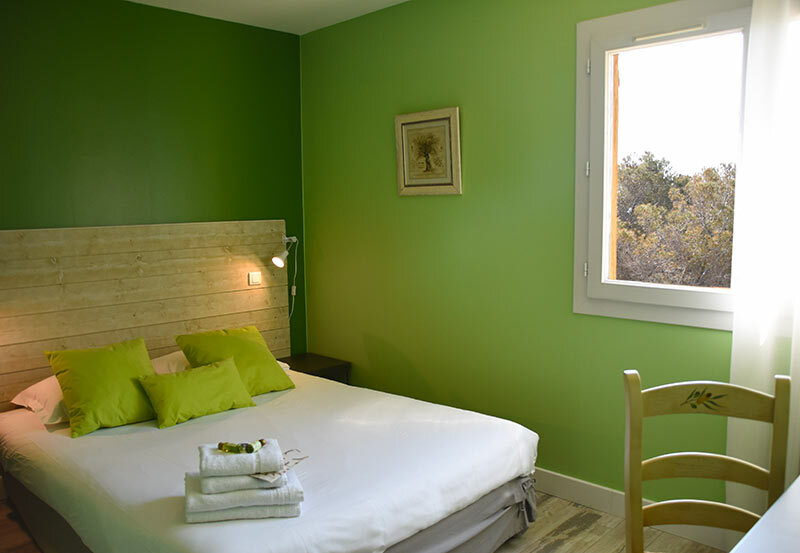 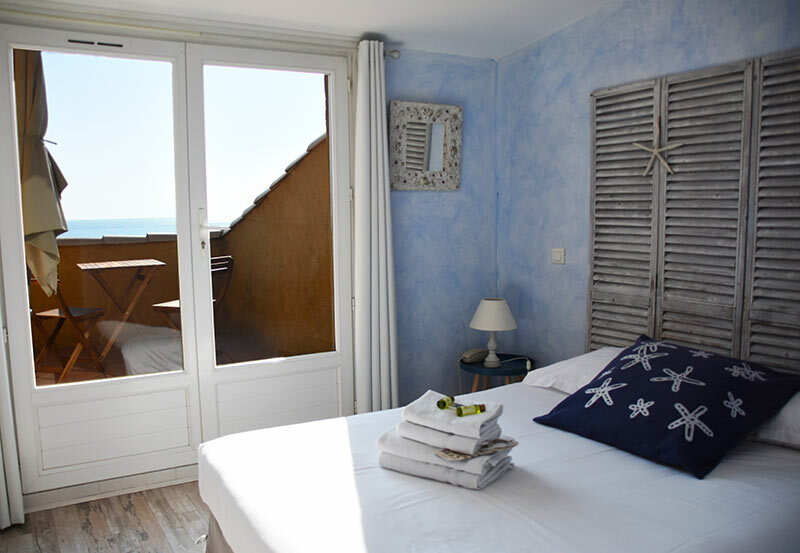 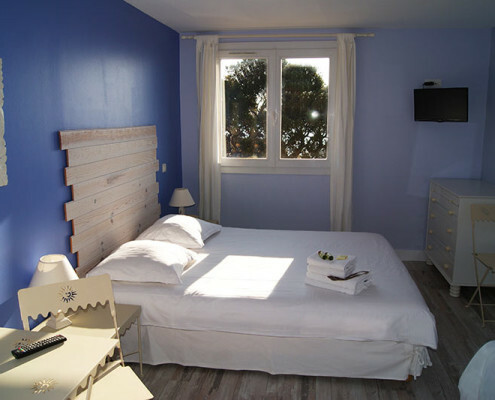 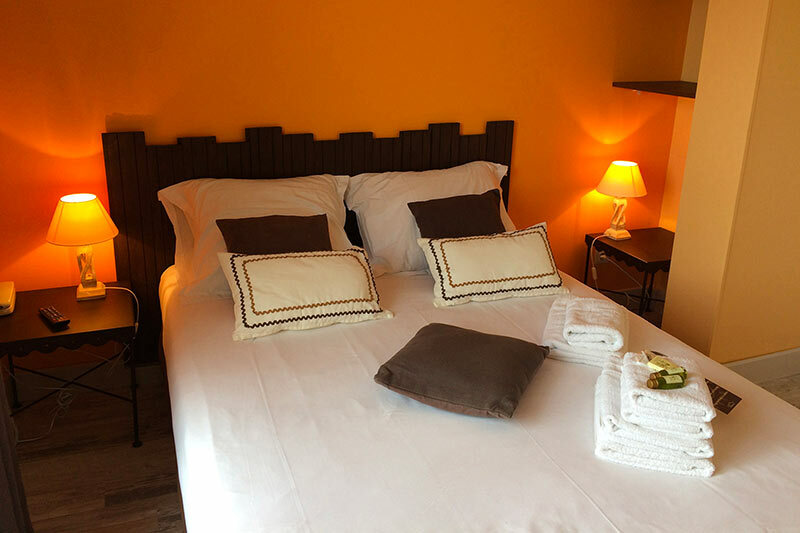 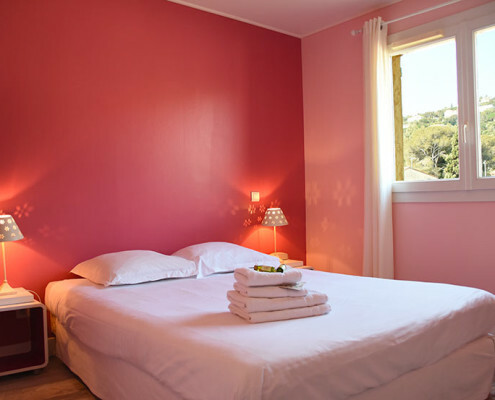 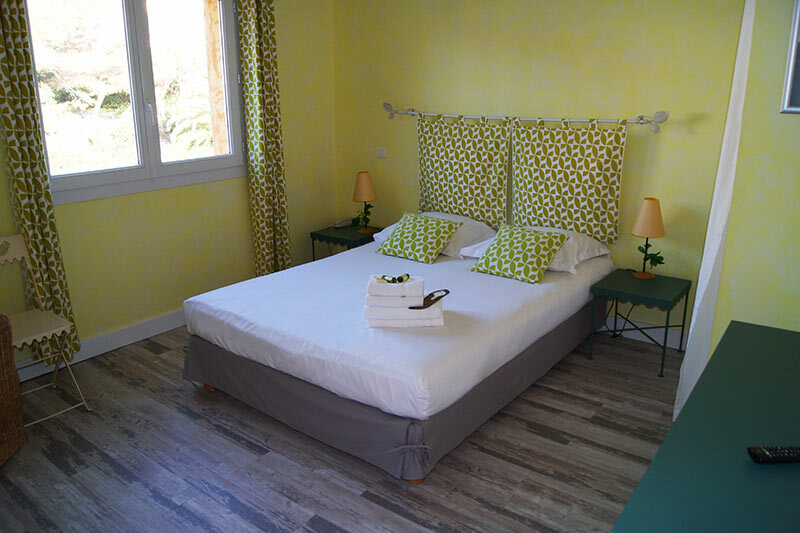 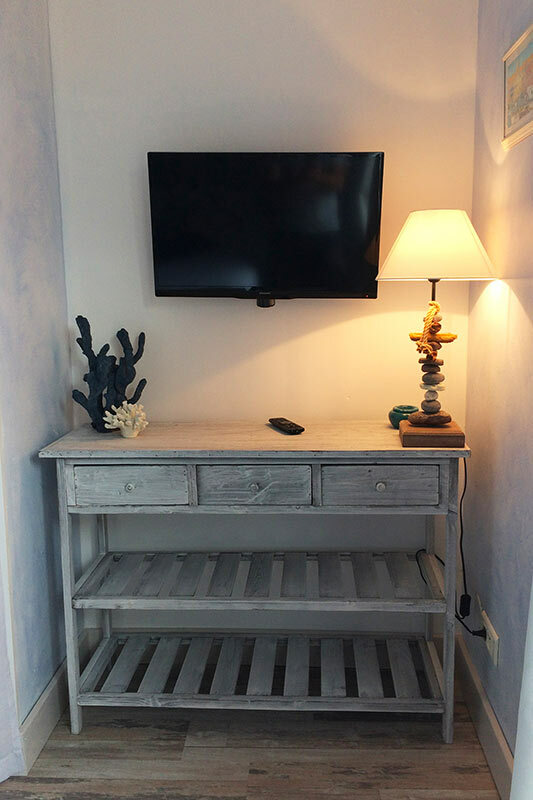 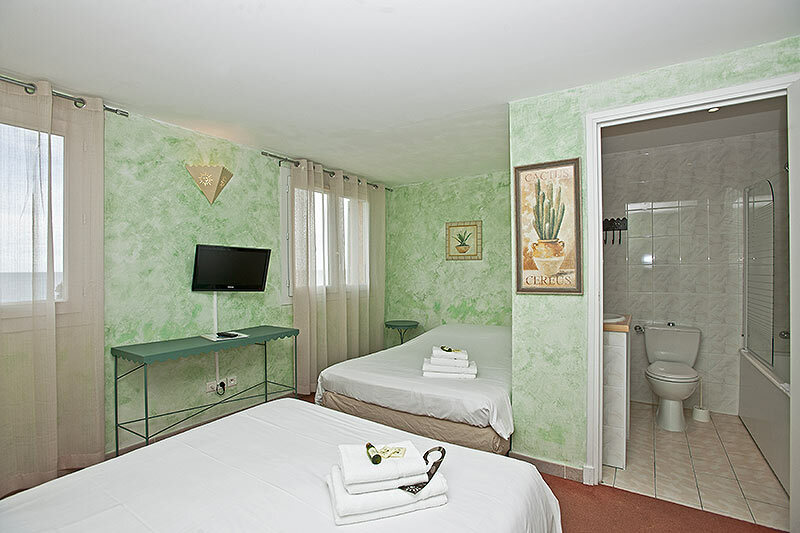 Hotel LES CALANQUES at Issambres offers a choice of 12 bedrooms with 2, 3, or 4 beds – Each room is customized both in the choice of wrought iron furniture and craft paint, to give you the Provence feel good factor! 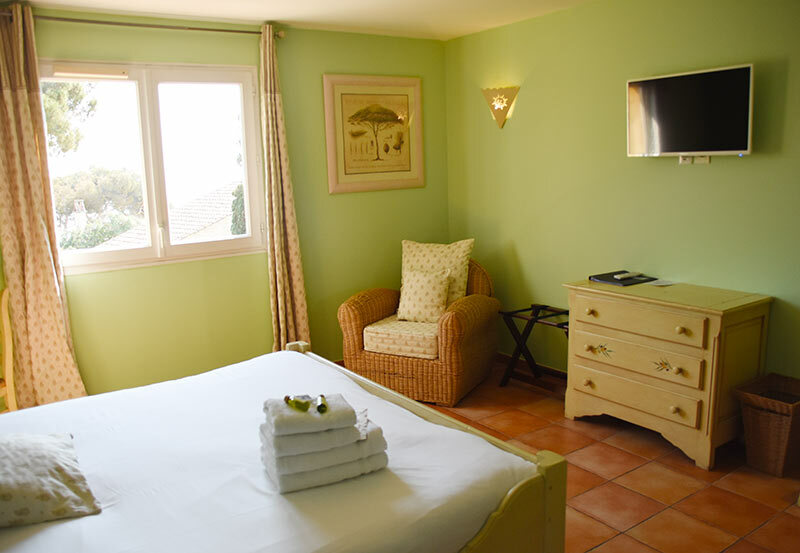 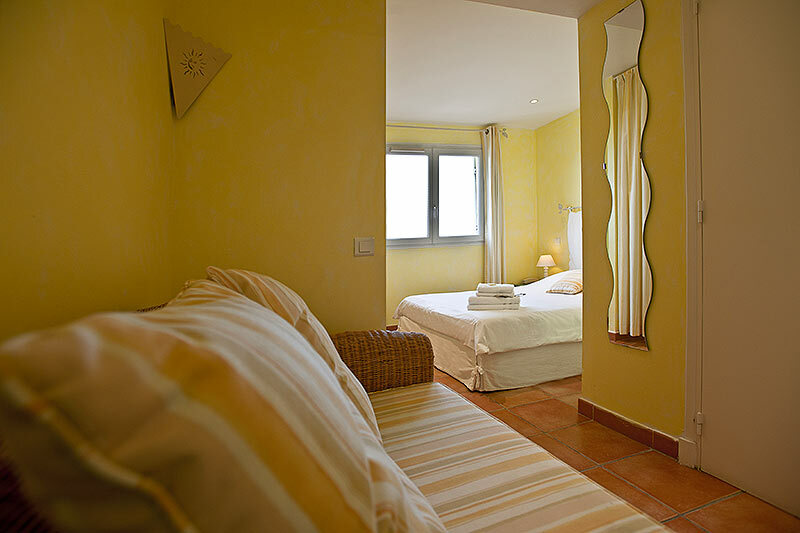 9 of the rooms are named after Mediterranean plants: Pine tree, Mimosa, Bougainvillea, Lemon tree, Oleander, Olive tree, Arbutus, Aloe, Lavender. 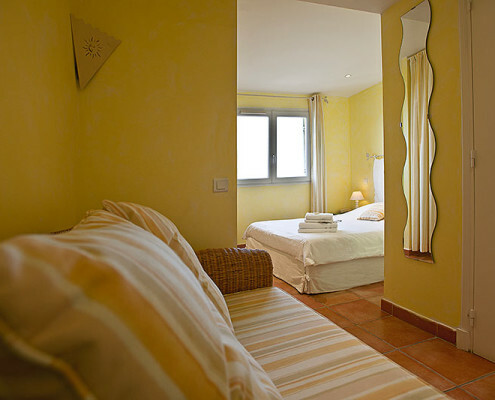 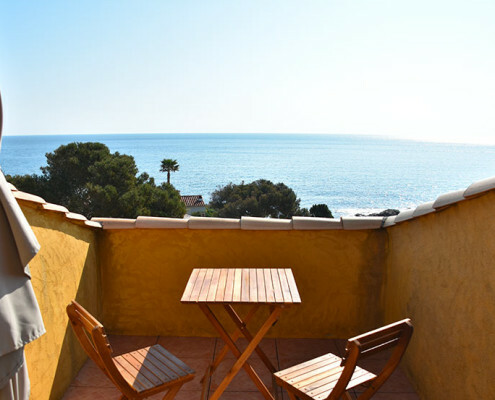 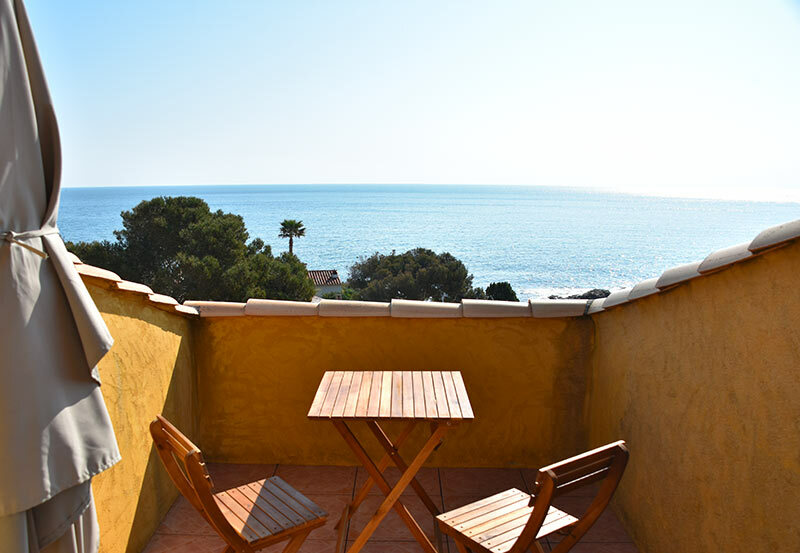 The other 3, Esterel, Horizon and Calanques have either a terrace or balcony with sea view. 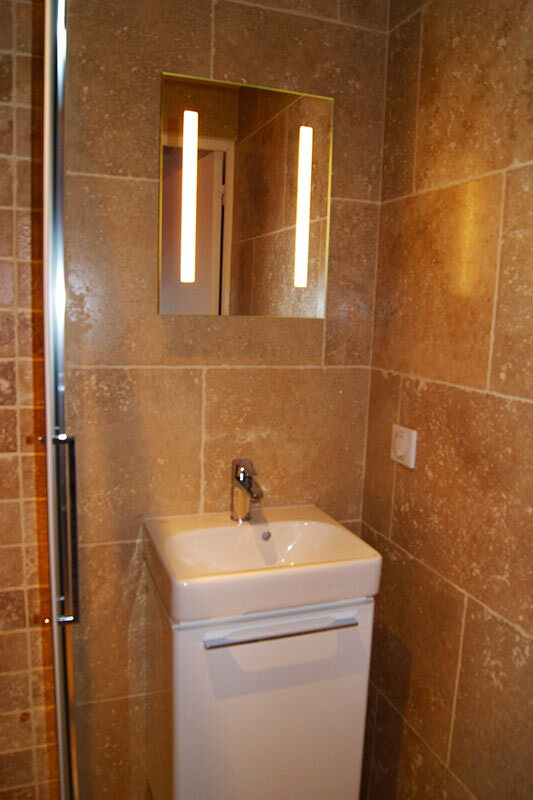 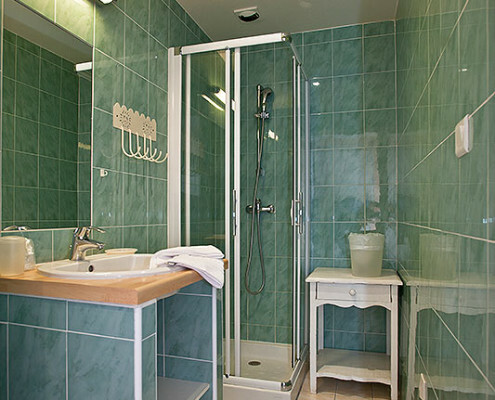 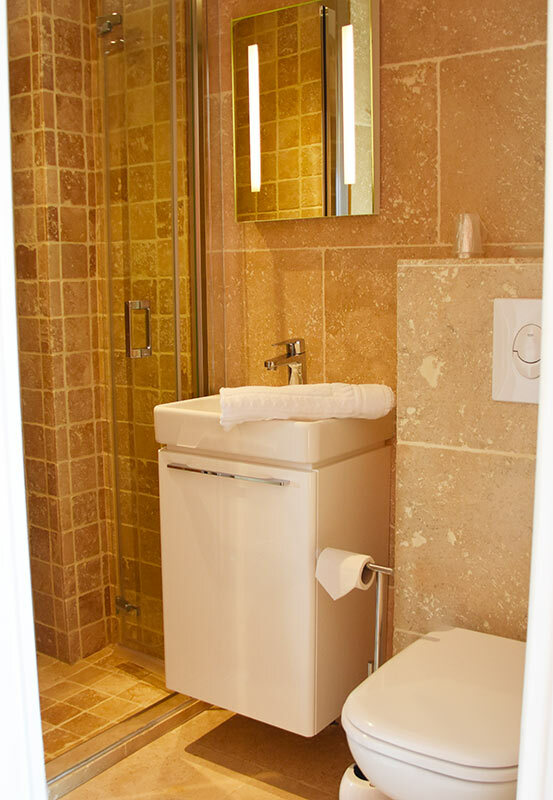 – Bathroom with shower and wc. 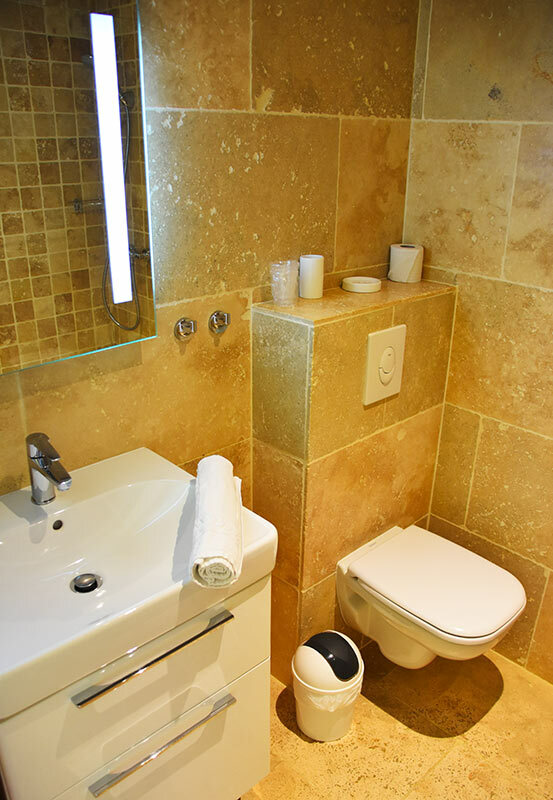 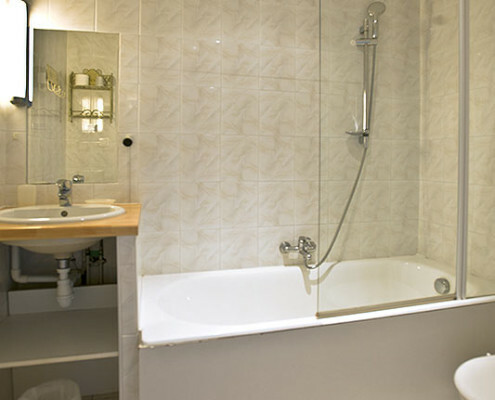 – Bathroom with bath and wc. 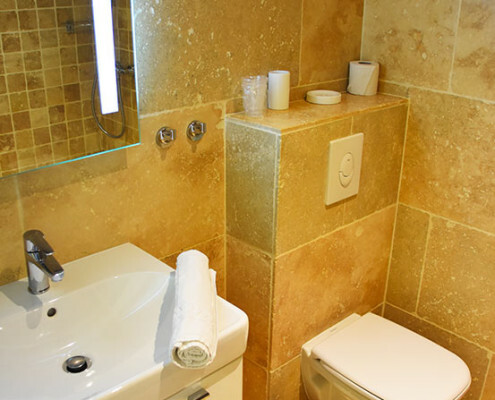 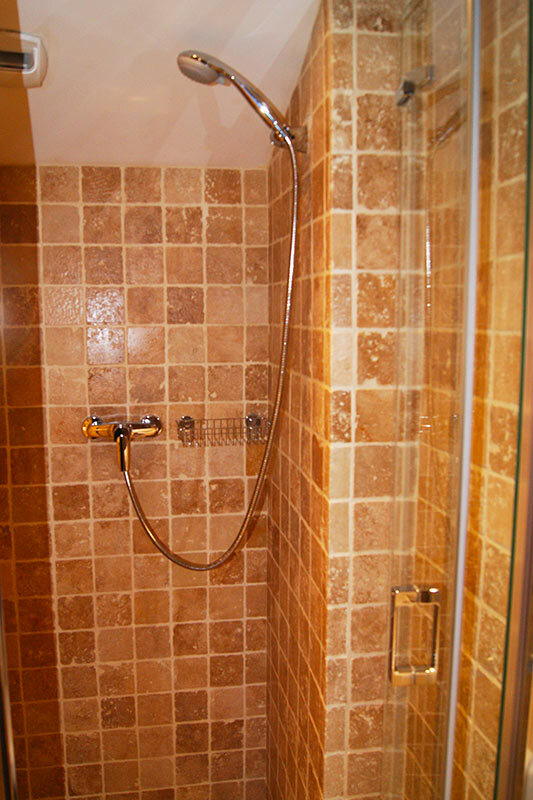 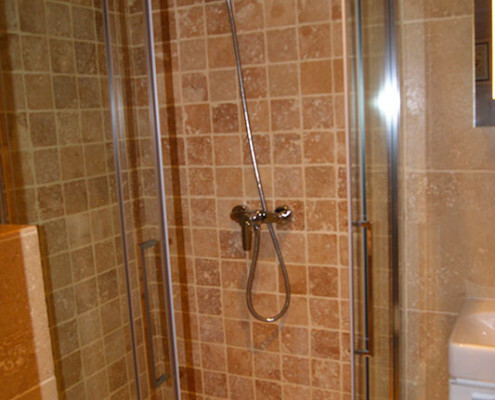 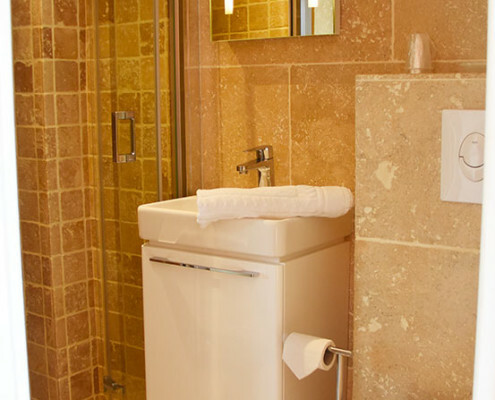 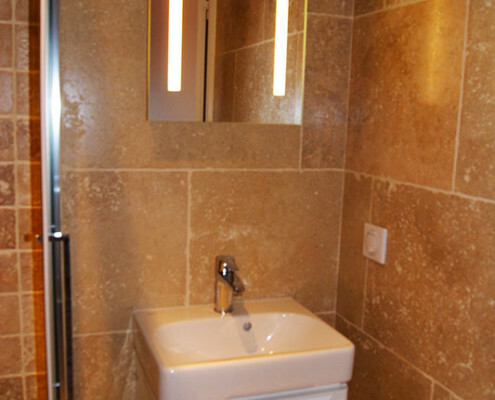 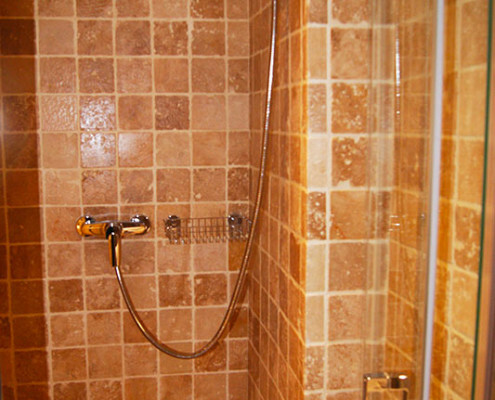 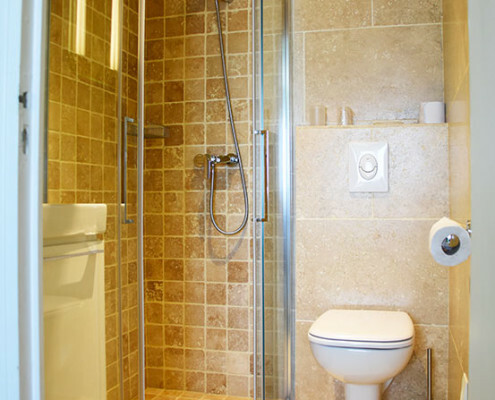 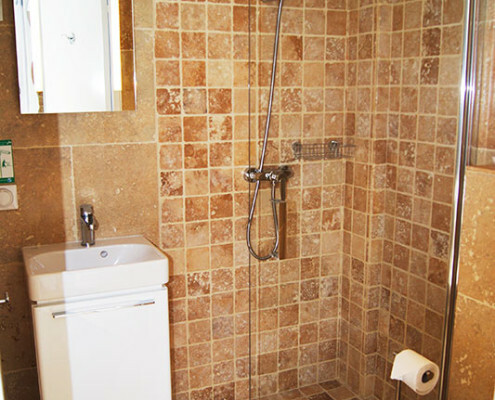 – Bathroom with shower and separate wc. 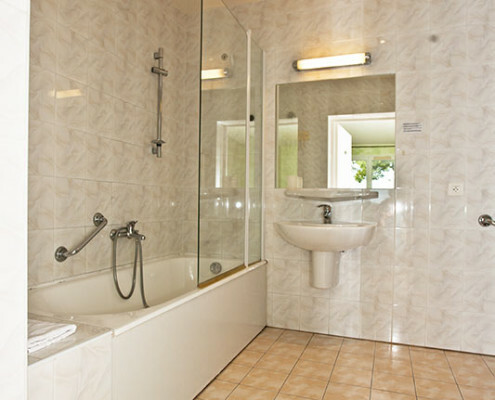 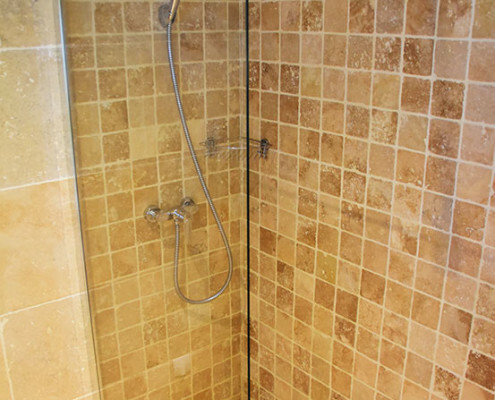 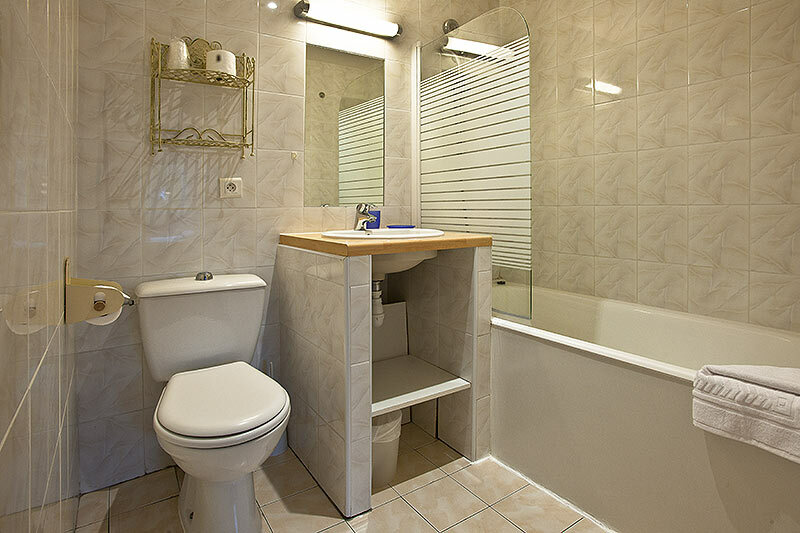 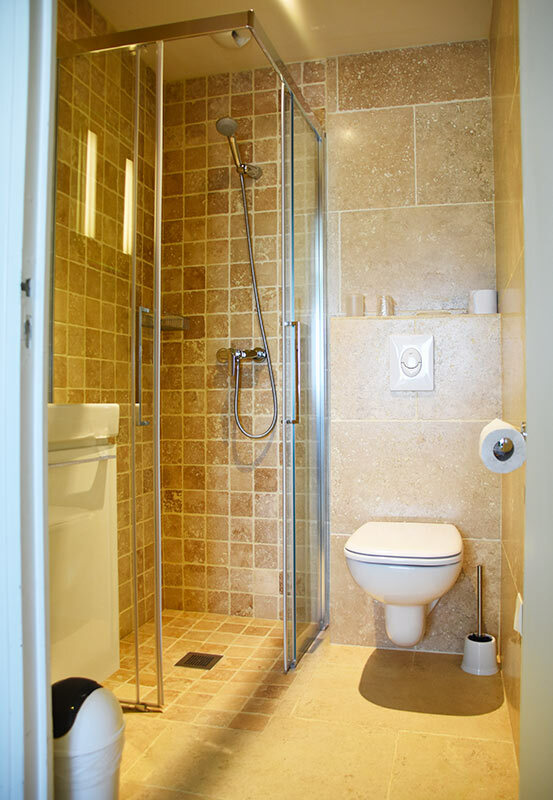 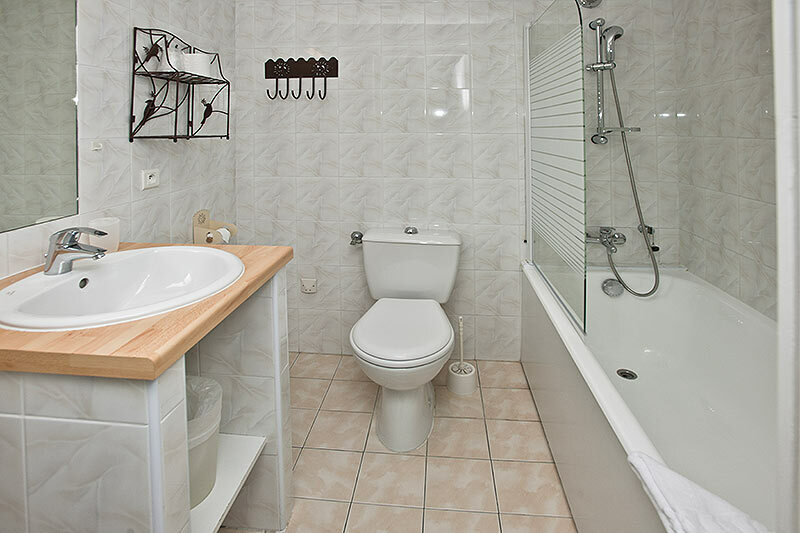 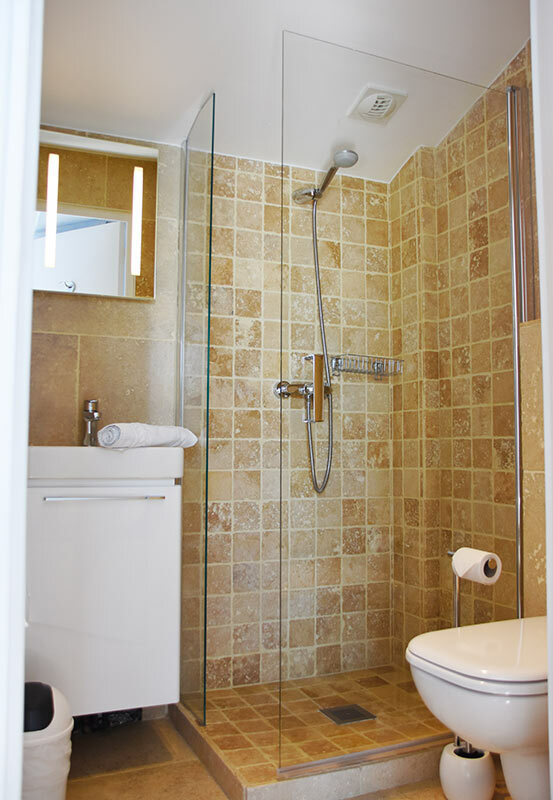 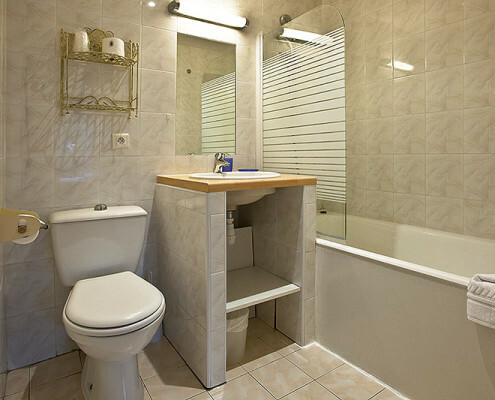 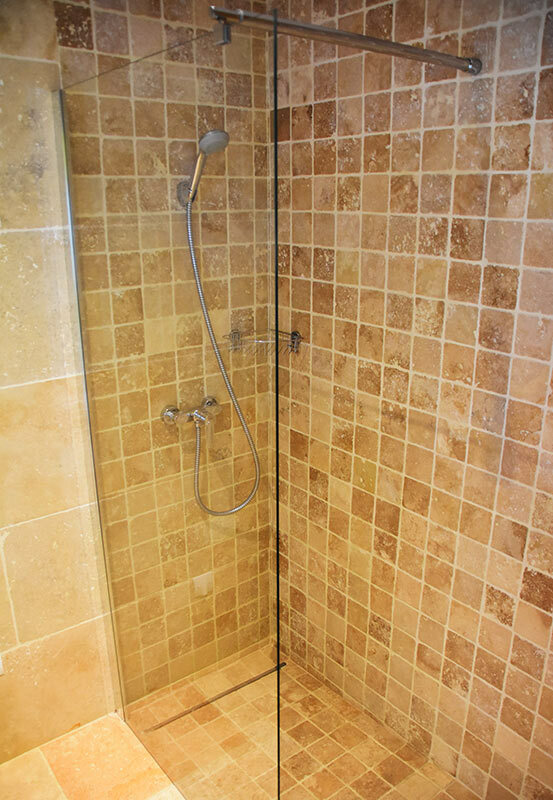 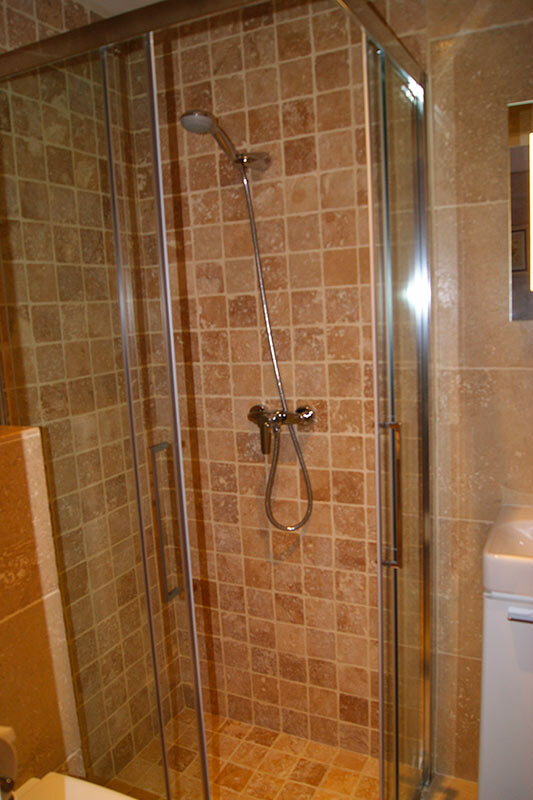 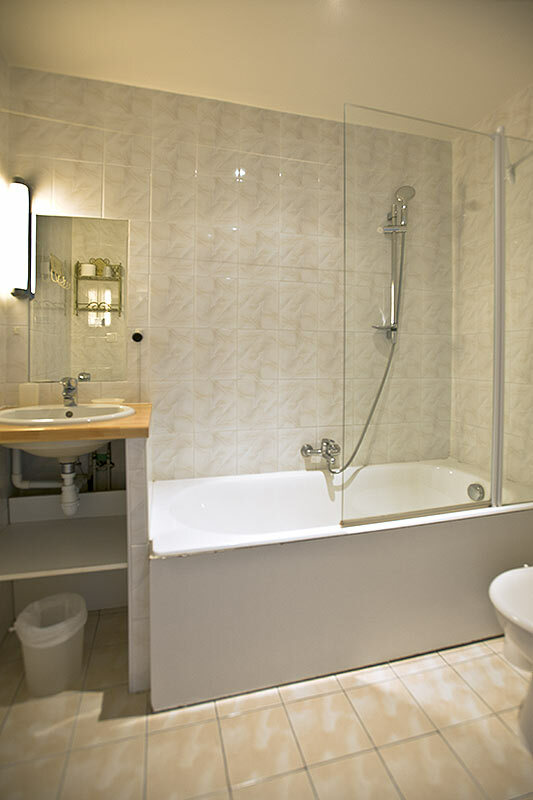 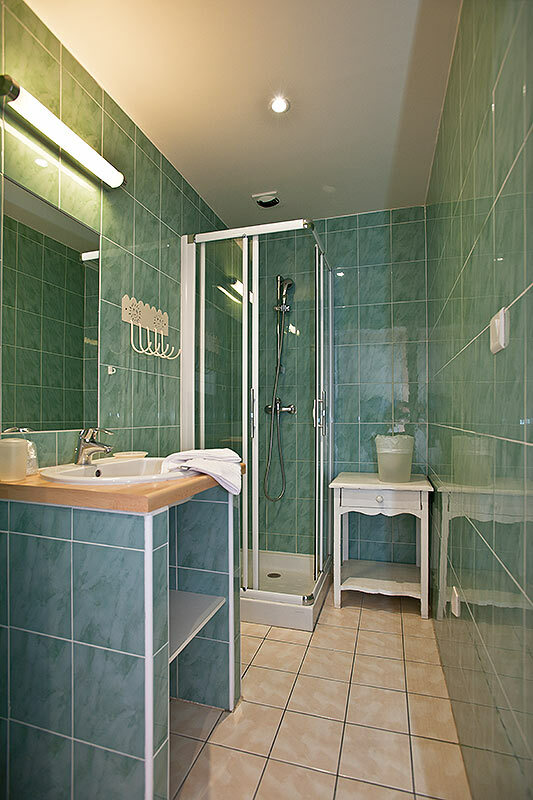 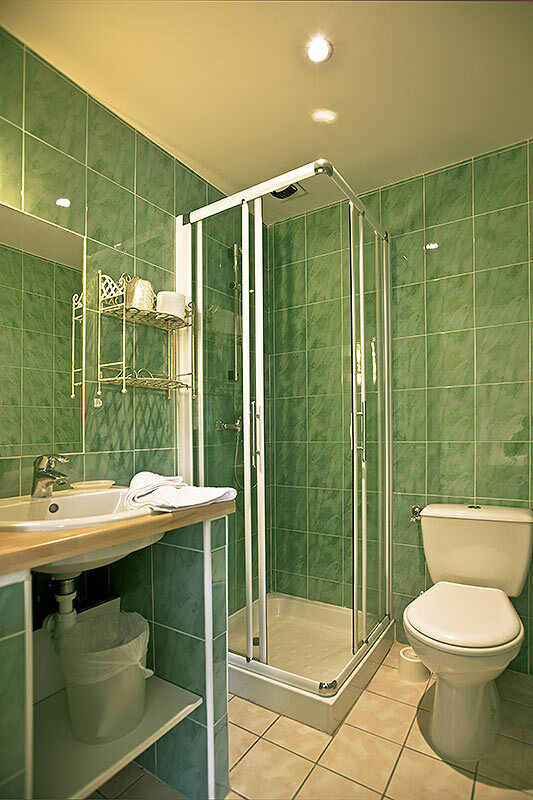 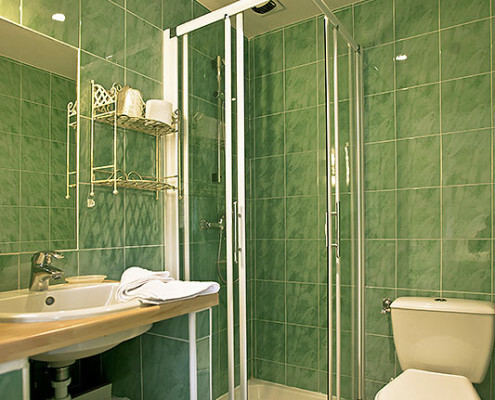 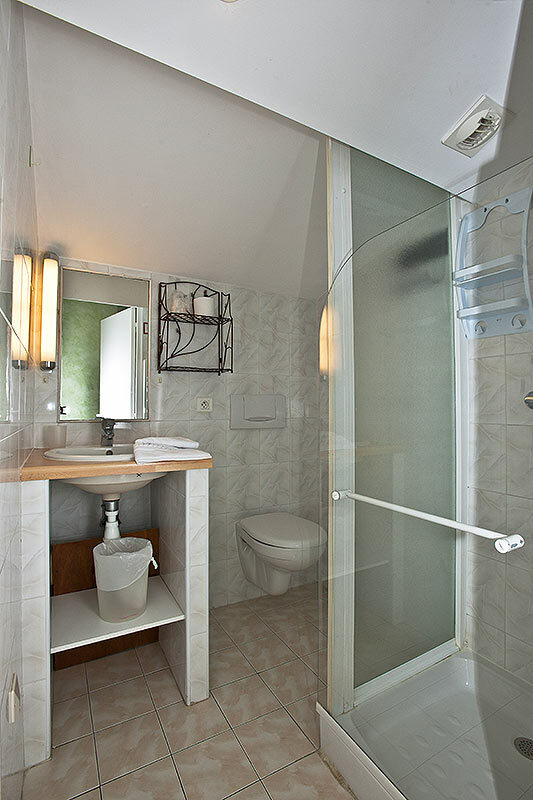 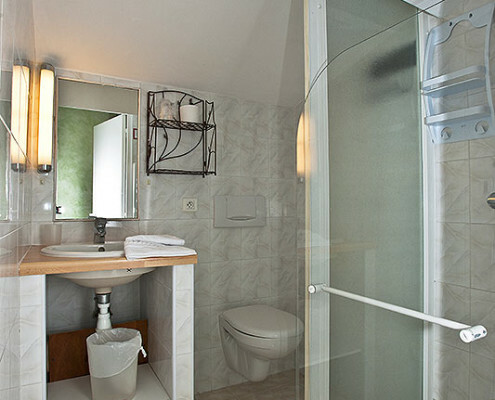 – Bathroom with walk-in shower and wc. 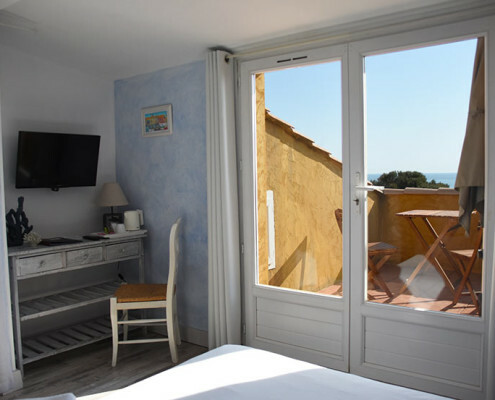 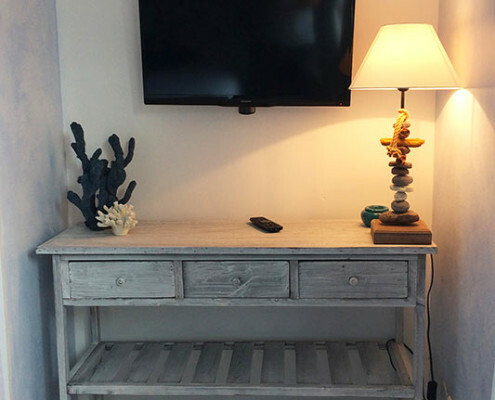 Hôtel*** familial de charme situé aux Issambres dans le Golfe de Saint-Tropez les pieds dans l’eau au bord des calanques, ambiance provençale et chaleureuse avec 12 chambres insonorisées et climatisées avec vue sur mer ou collines pour des vacances agréables et inoubliables.